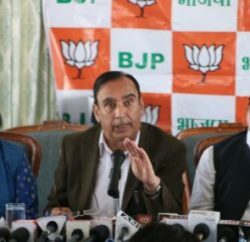 Shimla: Amidst the speculation and claims of state BJP leader that ministers and legislatures are in touch with the BJP and contemplating of defecting to the BJP, senior Congress leader and Irrigation and Public Health Minister Vidya Stokes ridiculed the claims and blamed BJP for indulging in negative politics, which is undemocratic and bereft of moral, social values. 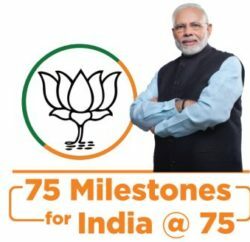 Senior Congress leader, in her statement claimed that BJP was losing fast ground, in the present politics of the State and on the verge of extinction from the political map of Himachal Pradesh. She nullified the claims of defecting of three ministers and six MLAs, and called that false, baseless and beyond facts. The BJP is trying to create vicious atmosphere and issuing ethereal statements just to create confusion and false atmosphere in wake of visit of Prime Minister, to the State, she further added. Claiming of confidence of the people of the state, Stokes confident of completing the tenure and also hoping to repeat with thumping majority in the forthcoming election in the state. 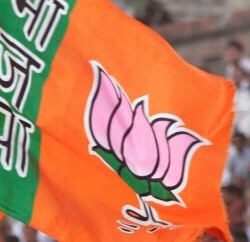 Vidya Stokes claimed that the BJP is a divided house and the party workers are bewildered on the issue of one leader in the party. They are undecided on the issue of leadership of the Party in the State, she further added. She advised BJP to keep their house intact, as many of leaders within BJP, may revolt against the BJP and even join Congress, to save their political existence.